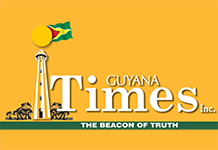 It is simply shocking, unbelievable, scandalous – the shooter implicated in the shooting of prominent Guyanese educationist, Dr Brian O’Toole, was able to voluntarily leave Guyana the very next day, less than 24 hours after the shooting. The story is simple – a man was shot with intent to kill. It was an attempted murder. And the shooter is getting a free pass because of connections and family privilege. Thankfully, Dr O’Toole survived the shooting but is left with an injury that may affect him for the rest of his life. The fact is that the son of a prominent Guyanese was involved in a shooting, and because of the standing of the father, the shooter is quietly allowed to escape to another country. What is worrisome is the almost stunned silence of the country. The newspapers appear reluctant to highlight the obvious cover-up that is playing out in plain sight. The usual commentators have lost their voices. Social media is ignoring the story. Something is not right. Am I missing something? Dr O’Toole knew his shooter and, from the information gathered so far, told the Police who the shooter was. That very evening, information was already circulating that the shooter was the son of a prominent person with close association with the Government. In subsequent days, stories circulated that the shooter was whisked away the very next morning after the shooting to the airport and placed on a flight to another country. 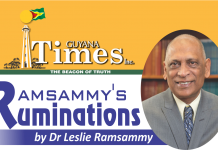 The story I heard was that the shooter was the son of a prominent Guyanese lawyer and that he was a gang member, with the sons of two Ministers. But no one in authority was talking and no one was prepared to respond to the circulating stories. The stories that were quietly being talked about were allowed to fall into the realm of rumours. Dr O’Toole made it clear he was not talking to the media, he will only talk to the Police. We have to assume he did. Now Dr O’Toole has spoken, confirming he knew the shooter and he knew the shooter was whisked out of the country the very next morning, hours after the shooting, just as the circulated stories claimed. The shooting was not a game. It was an attempted murder. Dr O’Toole believes genuinely that the shooter was inspired by a video game. While not seeking retribution, he believes justice ought to be seen done. But he is also concerned that not holding the young man accountable is only contributing to a dysfunctional young man, creating a “monster”. This is no longer a story that falls into the realm of rumours. Surely, something is dreadfully wrong when the investigation of a shooting that could have killed a man is allowed to go cold. Following the admission by Dr O’Toole that he knows the killer and that the killer is now overseas, can the Police confirm they are still investigating this story and is there any effort to get the person of interest, back in the country? The Public Security Minister is deafeningly silent, abrogating his duty to assure the public that the Police is investigating this case. Did he know there was a person of interest and did he know that the person of interest left the country almost instantly? Did the Police Commissioner know there was a suspect and that the person escaped the very next morning to another country? Total silence is simply unacceptable. At a time when the public has such low expectation in the security forces, when crime is spiralling, when people have lost all confidence in this Government, the news that a young man who shot a man intending to murder him, but allowed to leave the country, must be devastating to people who value security, safety and justice. The news that the young man was allowed to escape only because of his privileged family connection must destroy all hope that the justice system can serve the interest of the people. The total loss of trust in the Public Security Minister and the security forces is compounded by the revelation of blatant corruption at the Special Organised Crime Unit; an agency which was supposed to be combating money laundering, but which has become another political intimidation tentacle for the A Partnership for National Unity/Alliance For Change (APNU/AFC). Clearly, the security forces are now beholden only to APNU/AFC, doing its dirty bidding. Corruption, cronyism and nepotism have become endemic and epidemic in our country. We definitely live in a dispensation in which the Orwellian principle that some of us are more equal than others prevail.